After joining the faculty at TESS, Talent Education Suzuki School in Norwalk, CT, Meredith will shortly play her first concert performance in Connecticut at a Faculty recital at the TESS school facility. 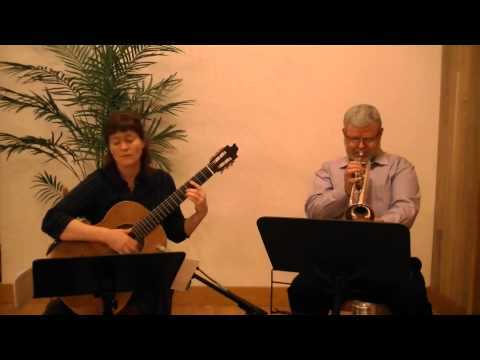 112 Main St, Norwalk, CT.
Meredith Connie (guitar) and Chris Worswick (cello) present a program of music for guitar solo, guitar and cello duos, including the stunning Luminance (Nathan Kolosko) and Sonata by Brazilian composer Radames Gnattali. Audiences have responded very warmly to this unusual chamber combination that brings together two respected Seattle musicians. 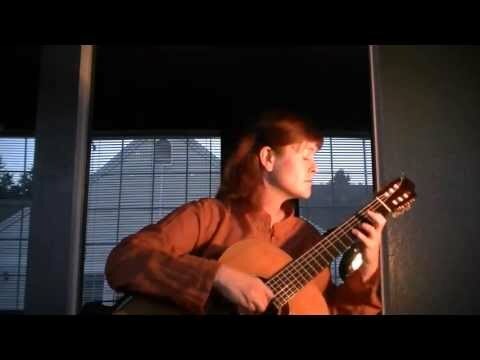 Solo guitar works include Le Decameron Noir by Cuban Composer Leo Brouwer. In addition they will present a rarely performed guitar concerto by 18th century guitar composer Mauro Guiliani for guitar and string quartet. Thank you to everyone who made the launch of Sol Y Sombras a wonderful success! The Royal Room, 5000 Rainier Ave S., Seattle. Free. Here’s a video of my new composition for Trumpet and Guitar, premiered on Friday 21st of March 2014. George and I recorded it a few days ago. Friday, February 21 2014, 7:30pm. Classical guitarist Meredith Connie returns to Kenyon Hall to celebrate the release of her second CD, the Latin influenced Sol Y Sombras (Sun and Shadow). The program features a variety of music with solo guitar works and chamber pieces for the combination of cello and guitar, trumpet and guitar, and guitar duo. Works include tangos from Argentina and music influenced by South American folk music, as well as two world premieres for the combination of Trumpet and Guitar. Performers are: Chris Worswick Cello; George Steward Trumpet, Omar Oyarzabal Guitar. 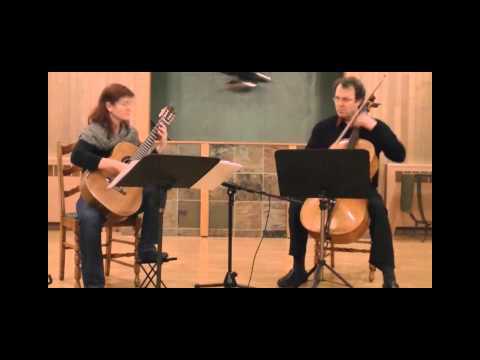 Here is a preview featuring a cello and guitar duet, La Diversion, which will also be on the CD, Sol Y Sombras. Meredith is now teaching lessons for young children from ages 3 and up, using the Suzuki method. Her home studio is in West Seattle.Lessons using this method are recommended for children starting to explore the guitar from ages 3 to 6. Dr Suzuki developed a method that creates an environment where the child is eager to learn and learns music the same way they learn language, as part of the everyday fabric of life. The event supports Northwest Harvest with a food drive. The suggested donation for admission is $10 or $8 with the donation of a non-perishable food item for Northwest Harvest.